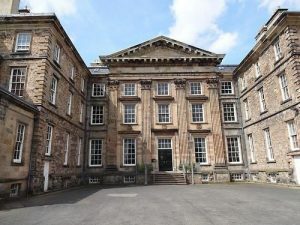 Below is the detailed description of the Dalkeith Palace, the historic home of the Duke of Buccleuch. 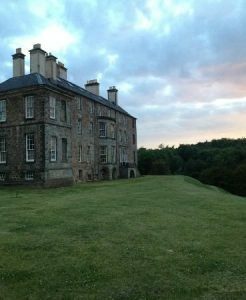 It is situated in Midlothian, Scotland. The town of Dalkeith is as old as the 12th Century. The castle situated on this ground was under the hands of the Graham clan of the 12th century. Somewhere in the mid 14th century, it is believed to have gone to the clan of Douglas. The castle grounds became the burial place for the Douglas Earls, Knights, and Lords; one of whom was James Douglas. In the 15th century, the castle is known to be a prison to the Archbishop of St Andrews. Later, in the same year, it was captured by English soldiers – James Wilford and Thomas Wyndham in 1548 in the month of June. Then, it was passed on to the British regiment for some time until the 17th century. During this time, it was expanded into a palace by Regent Morton and became home to James VI of Scotland and his partner Anne of Denmark. In the mid-sixteenth century, the castle was sold by the Douglas family to the 2nd Earl of Buccleuch – Francis Scott. It was passed on to generations in Scottish regimes and there was a renovation with regards to the masonry in the year 1702. The furniture of the palace was brought from London by William Walker and Benjamin Robinson for the chambers of the Duchess that lived in the palace. It is believed that the marble cutter took almost 64 weeks and nine assistants to build the interiors of the palace for its beautification and grooming. The construction work finally ended in the middle of the year 1711. The palace was mostly decorated with carved marble of Neptune and Galatea type. 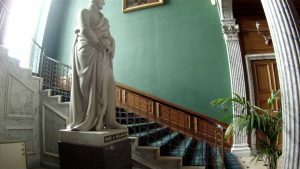 There is a statue of the Duke of Wellington built by sculptor Thomas Campbell in the middle of the Great Staircase inside the Dalkeith Palace. This statue is what is the majority of the charm of the Dalkeith Palace. The corners of the main front door gate which faces the south gate are flanked with Corinthian style pilasters. The palace is mainly built on sandstone. The main Great Dining Room is on the first floor, unlike other palaces that had the Dining Room built on the ground floor close to the lobby. Therefore, its infrastructure is categorized unusual for the Victorian Era. Reconstruction was done by the 5th Duke of Buccleuch in the year 1831. William Burn was the Scottish architect who received the contract. His designs were Jacobean in style. A private chapel for the Duke, known as the St Mary’s Chapel was built in 1831. This palace has been home to the Royal family members on their visits to Edinburgh. King George IV lived here in 1822 and so did Queen Victoria, twenty years later. 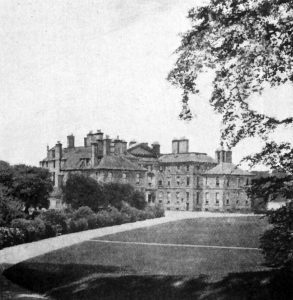 The last Buccleuch clan lived in the palace only in 1914. Thereafter it has been empty for a while until it was leased by the University of Wisconsin, Maddison, United States for the purpose of conducting a study overseas program for students.